More than any other event, Art Liberation has garnered us more attention. Not more than we deserve, though. Giving away art completely free is a noble effort. Why do we do it? By giving away art, we compel the artist to produce more, and we encourage people to acquire more. Thus, we create more art in the world. But at our core, we are really about entertainment and have you ever heard of a more ridiculous thing to do? Even the spectators get a charge out of seeing this unabashed, in-your-face, poke at our culture of consumerism and corporate profit. 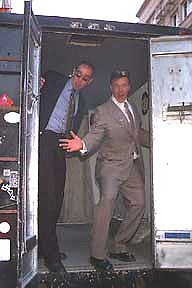 Just check out these links to our shows to get a peek into what this is all about. 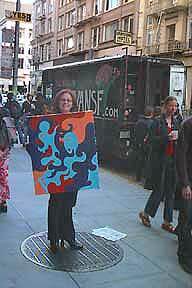 To donate paintings to the ArtVan, contact us, or call David at 415.640.5041.